Synchronizing bus arrival and departure times at transfer stations could reduce excess transfer times. 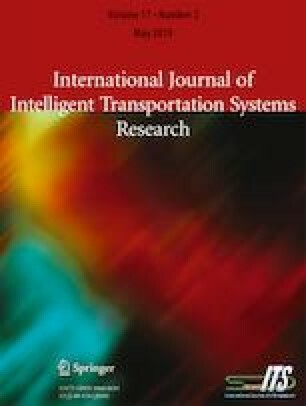 This paper addresses the planning level of bus schedule coordination problem through small timetable modifications to given an initial timetable. Timetable modifications consist of shifts in initial departure times of vehicles from the depot. Headway-sensitive passenger demand is also considered in this problem. A nonlinear mixed integer-programming model is proposed for the problem to maximize the number of total transferring passengers with smalll excess transfer times. Based on the analysis of the proposed model, a genetic algorithm combining local search (GACLS) is designed to solve this model. Several numerical experiments are performed to show the utility and performance of GACLS. For small case, the proposed GACLS is highly effective, and can obtain the optimal solution with less time than enumeration method. For large real case, the GACLS also has good performances. This work was jointly supported by grants from the National Natural Science Foundation of China (No. 71601088) and Project funded by China Postdoctoral Science Foundation (No. 2017 M610287).